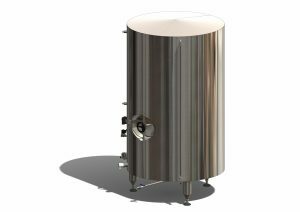 Non-pressure heat-insulated hot water tank NHV is made of stainless steel AISI 316L and is designed to collect preheated water from the first cooling stage, to heat it to 80 ° C and subsequently to use it in a cooking processes. 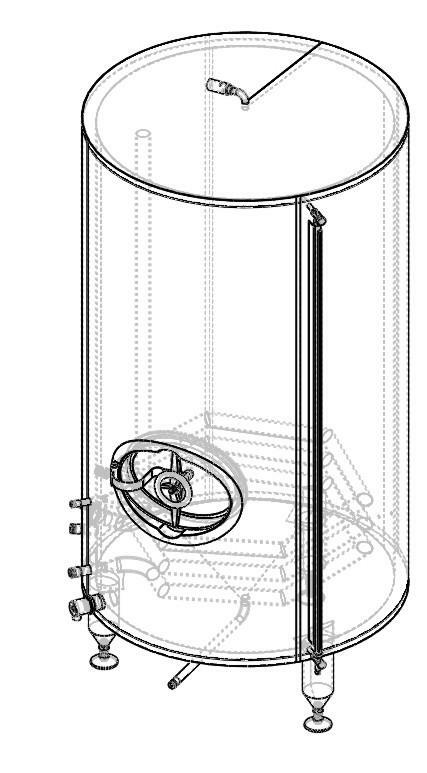 Water is heated by steam circulated in the spiral exchanger that is part of the vessel. (The steam generator is not part of the NHV tank). 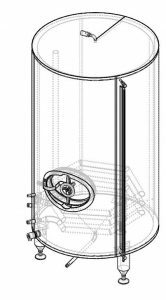 In addition to steam, a 3kW stainless steel heating spiral can be used to maintain the temperature. 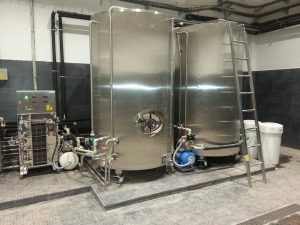 The NHV tank is also fitted with a Willo circulating pump, which is used to homogenize the water temperature in a vessel with very low power consumption. For measurement and automation purposes, the container is fitted with a PT100 temperature probe and a pair of MAVE level sensors. 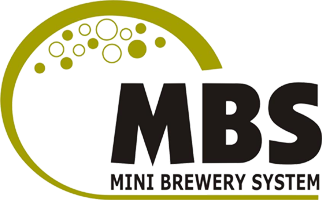 The electrical switchboard can be mounted directly on the tank or can be placed on any wall in the brewery building after installation. 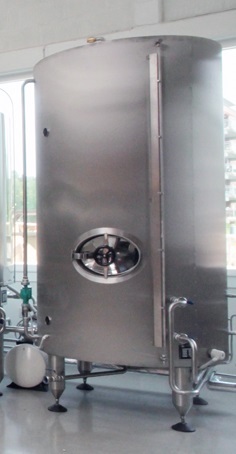 The NHV tank also includes a pump with an expansion vessel and Presscontrol pressure switch.